New Teesside venue Room 21 is an American-style sports bar complete with pub pool tables, snooker and ping pong, along with a juke box that can be controlled from patrons’ mobile phones. It all adds up to a modern and compelling concept at the new bar, open from May 1st at 21 Yarm Lane in Stockton. The bar’s owner, John Taylor, told local newspaper The Gazette: “It’s something a bit different. 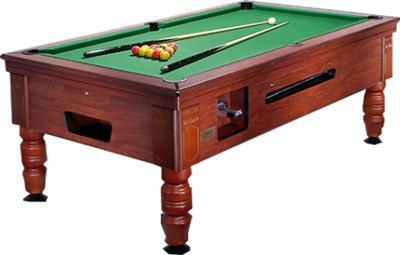 The pub pool tables cater for all tastes, with four English-style tables and four American-style tables, accompanied by three full-sized snooker tables. And the venue has plenty of offers running to help pull in the punters during its opening days and weeks. For example, the ability to control the juke box remotely using a smartphone will be free for the first month, allowing customers to try it out without having to pay at first. There are also several online voucher deals running, for example offering two people two hours of pool, snooker or ping pong, a burger each, fries and a beer for £15.